BOSTON — The heat was so extreme at Monday’s 116th running of the Boston Marathon that thousands of athletes deferred their entries until next year. But 22,426 still persevered through temperatures that rose into the 80s — including several runners from the Wenatchee Valley. 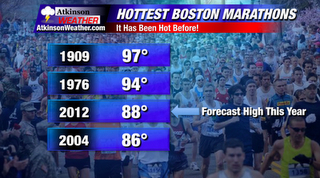 The 116th Boston Marathon was one of the hottest on record. The top local finisher was Will Young of Cashmere. 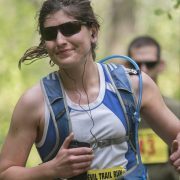 The 41-year-old completed the historic 26.2-mile course in 3 hours, 25.12 minutes. Next up was Lynda Finegold, 41, of Wenatchee, who was clocked in 3:35.19. “I was just trying to survive. Saw two people collapse,” Young wrote on his Facebook wall. 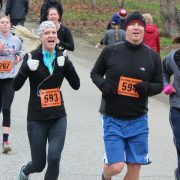 Others from the Wenatchee Valley who finished: Calvin Stapleton, 43, East Wenatchee: 3:51.45; Randy Klein, 28, Wenatchee, 3:53.45; Michael Scott, 48, Wenatchee, 3:59.42; and Stephanie Cosina, 32, Wenatchee, 4:36.19. Concerns about the heat led to 4,290 runners deferring their entries to next year. The men’s marathon was won by Kenya’s Wesley Korir in 2:12.40. Sharon Cherop, also of Kenya, captured the women’s marathon in 2:31.50, beating countrywoman Jemima Jelagat Sumgong by just two seconds. In keeping with the toll the temperatures took on others, Korir and Cherop posted the slowest winning times since 1985.